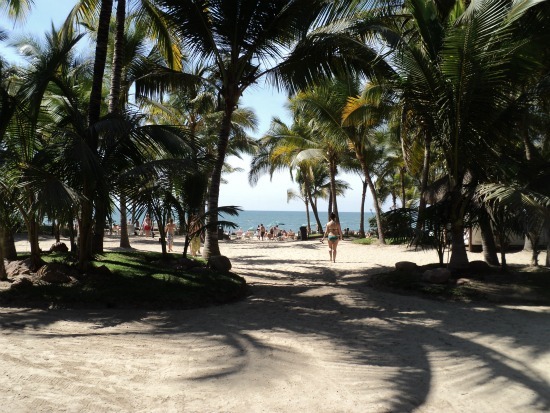 Riu Resorts in Puerto Vallarta are all inclusive family resorts. The entertainment staff is top notch making your stay amazingly fun. I just can not stress enough how wonderful these resorts are. From the moment you arrive till the moment you leave the staff are taking excellent care of you. No matter which resort you are at you will have a good time. 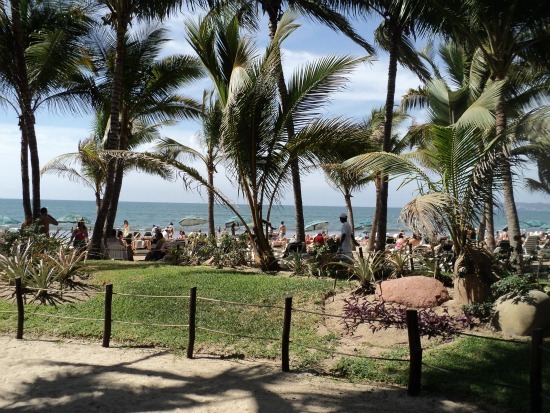 Their three resorts are located on a secured stretch of beach in Riviera Nayarit. Only nine minutes from the airport and five minutes to Bucerias by car. The road leading to their Riu Resorts is gated with 24 hour security guards. So if you are worried about safety this is a great place to be. These three resorts provide more than enough activities that you will never need to leave the resort. From 8AM until 2AM their entertainment team is working hard to surprise you around every corner. There is a wide diversity of guests from all over the world as well as local Mexicans. All three resorts are 24 hour all inclusive. This is a great feature especially if you're an early bird and would like a coffee or a snack. You just go to the sports bar and they will set you up with what you need. No need to be worried of locals pushing their wares on you, only select sellers are allowed here. They are quiet and respectful of your space. The stores on this beach have excellent prices. Lots of knock off brands like Mexican Ray Ban sunglasses. They will even custom make you something if you ask. Riu Palace Pacifico is the grandest of the three resorts and is the most expensive to stay at. But staying at this resort has its advantages. It is called stay at one play at three. So not only do you get to enjoy this resort but you can also go to the other two Riu Resorts to eat, drink and be merry. The Palace Pacifico has five hundred and fifty guestrooms of which some are jacuzzi suites. Two pools with a jacuzzi, one for the adults and one for the kids. In room mini bars, liquor dispenser and safety deposit boxes are available. Three specialty restaurants with reservations and dress code in effect, as well as their casual buffets. Riu Vallarta is a stay at one play at two all inclusive family resort. You get to enjoy this resort as well as the Riu Jalisco. It's priced in between the Palace Pacifico and the Riu Jalisco. This is the smallest one with 445 guestrooms and two pools. No worries though, you still get just as much fun as any other Riu Resorts, just not as many guests.